Party General Secretary Nong Duc Manh asked Thai Nguyen Province to make steadier and faster development in the next five years. The Party leader, in a meeting with voters of the northern mountainous province of Thai Nguyen, urged them to take full advantage of the local potential by quickly transforming the economic structure in industry, agriculture, tourism and service. Thai Nguyen should make development of the advanced technology industry their top priority in order to be competitive in the national market with high-quality products, said Mr. Manh. He met with the provincial key leaders and voters to inform them of the contents of the upcoming session of the National Assembly and ask for contributions to the draft documents for the Party's11th National Congress. The province is home to a large number of colleges and vocational schools, which have positioned the province ahead of many others, said Mr. Manh. 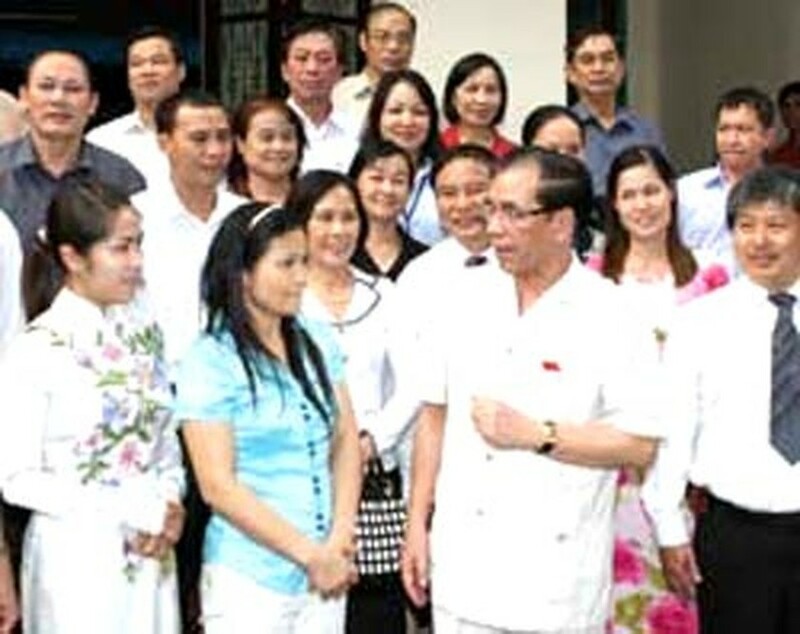 The Party leader asked the voters of Thai Nguyen to take advantage of their ability to grow human capital, which is key to the short- and long-term development of the province. Thai Nguyen should also continue to improve the quality of education in their colleges and schools in order to have good human resources. The provincial voters asked the Government to ban the export of raw ore in order to stimulate domestic production. They also suggested the Government provide funds for building new rural areas and increasing the commune-level staff who would help bring in advanced technology to the agricultural production. The voters voiced concerns over the shortcomings in the Law on Land and asked the Government to amend them to help solve the pressing issue of complaints over land conflicts. The province is facing a shortage of land for people to cultivate, but land owned by former State-run farms remains vacant. "The Government should review the law to make it effective," said the voters. Concerns over the low wages for health workers, especially those working in the province's communes, were also raised at the meeting. The voters also asked the Government to consider adjusting hospital treatment fees as fees should align with the average income of people in the province.